Mixed metal and oversized pyramid studs amplify the edgy-cool attitude of this night-out essential from SALAR. 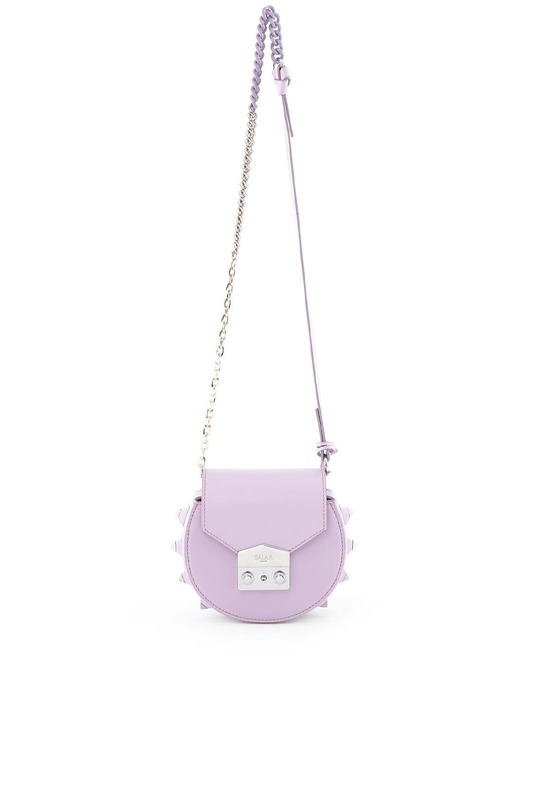 Lilac leather crossbody bag with studded bottom accents and push lock closure. 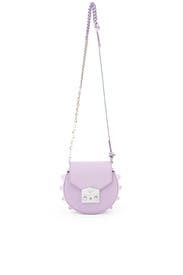 Chain and leather crossbody strap with a 14" drop. 6.25"W x 5.5"H x 2"D.
Beautiful purse! However, it was too small for my iPhone to fit in. I didn’t realize until I left my hotel room for a wedding then had to hold my phone through the entire wedding and reception. 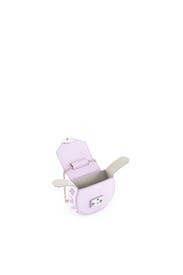 If you are wearing an item with pockets for your phone, your money / gloss / etc should fit just fine!